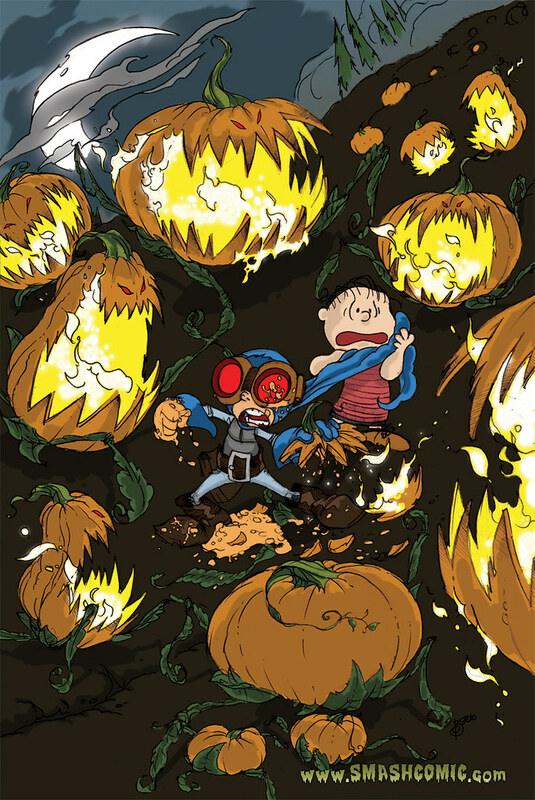 Yes, that's Smash protecting Linus from... the Great Pumpkin's minions, perhaps? I can't imagine any creature named the Great Pumpkin has motives that aren't truly sinister. Kyle's so busy with new and revised artwork for the Candlewick book — drawing like mad to make our December deadline — that I'm not sure he'll have the time or energy for a new picture this year. Still, I'll keep trying to persuade him, and maybe we can have something in time for trick-or-treating. In the meantime, share your favorite Halloween memories or traditions below — we'd love to hear 'em!